​Take a Closer Look Below! Start Filling in the Details to Build Your Project! 1. The canvas is broken down into three stages: Ask, Make & Share. 2. Each stage has a symbol that coordinates with the CREATOMdeck. 3. 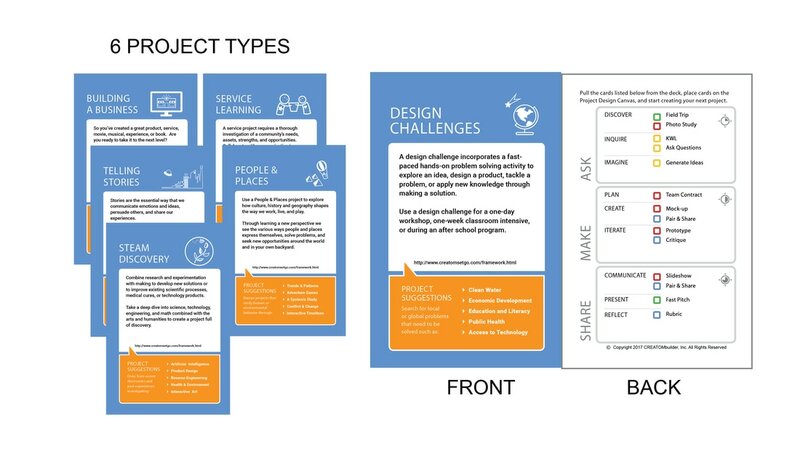 Each stage includes three phases with guiding questions which build the project. 4. Each phase provides suggestions on how to use the guiding questions. 5. Access to downloadable pdf for CREATOMdeck owners via a password. 1. 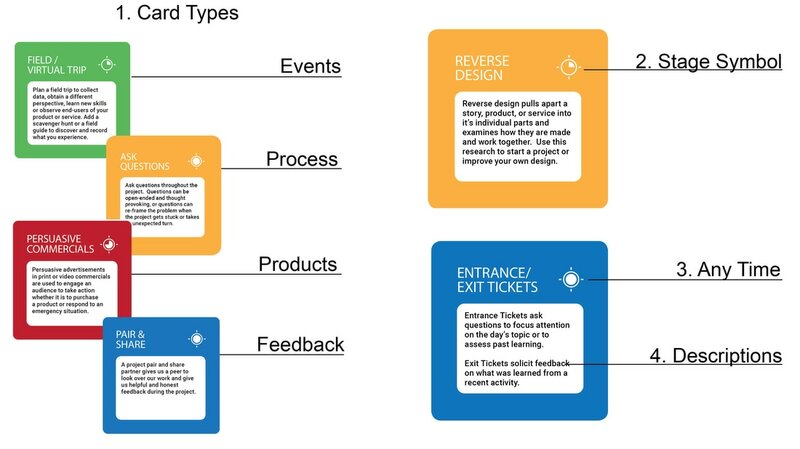 The deck is broken down by color into 4 types: Events, Process, Products and Feedback. 2. The clock symbol indicates which stage to use a specific card. 3. Activities that can be conducted at any time are marked with a full clock. 4. Each card has a title and brief description of the activity. 5. Exclusive information access provided to CREATOMdeck owners via a password. STEAM Discovery, Building a Business and Service Projects. exclusive information for CREATOMdeck owners via a password. 3. Each project menu provides a description and project ideas. 4. 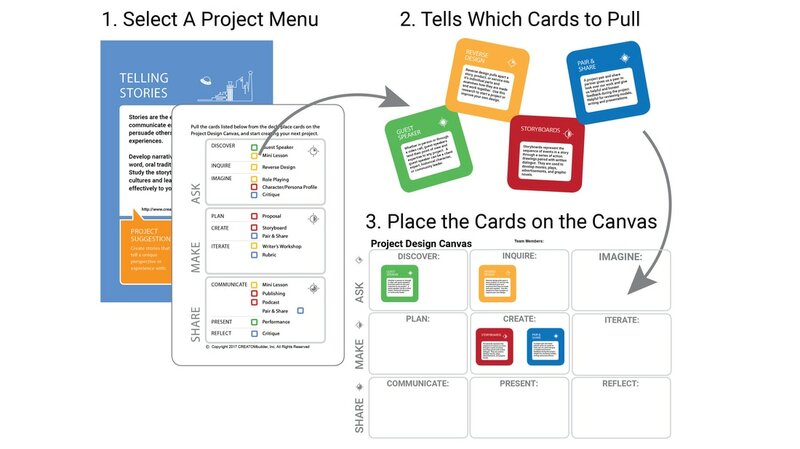 The menus identify specific CREATOMdeck cards to use during the project stages.